The Prabhakar Post: Ask Yourself "Do Memories Affect Your Routine?" Ask Yourself "Do Memories Affect Your Routine?" I write this post not as an expert but as a layman who just feels strongly as I have personally experienced the affect that memories have on our decisions and our everyday life. Today I heard of the demise of a gentleman who was Principal when I was in school in 1988.An immensely knowledegable lookalike of Omar Sharrif with a fantastic sense of humour,integrity and the ability to give a shy teenagers the space to discover themself. Its been 29 long years since those days but i still ask myself if Mr Mcready would approve of my decision whenever i have to decide on something big! The people one meets and those who influence us leave behind memories and though the saying goes that "time heals",there are always certain event memories created by such people that remain pristine bright while other memories curl at the edges like paper stored for too long and vanish in wisps over the years. But I guess everyone has someone they encountered in their life who left an indelible(and hopefully positive) impression on them and one felt like imbibing their best qualities?I know I did(at one point I wanted to be Clint Eastwood !!). So a lot of values that we hold and the thoughts that we have are not really ours.Scary but true.Who are we if not a collection of our memories intepreted in a way unique to each individual and I guess that makes us,us - from the way we walk to what we consider right or wrong. Do certain smells or music recall certain incidents from the past.Why on sudden days or particular times?Why this year and not the year before? Truly the human mind is an enigma and its power frightening in its avatar to create or destroy.Hinduism has a god-symbol for each emotion. 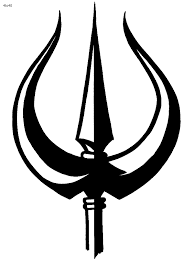 I wonder if Shiva of the legends is simply our brain.